Want to see your candidates during remote interviews? Just use the CodeSignal video chat function! 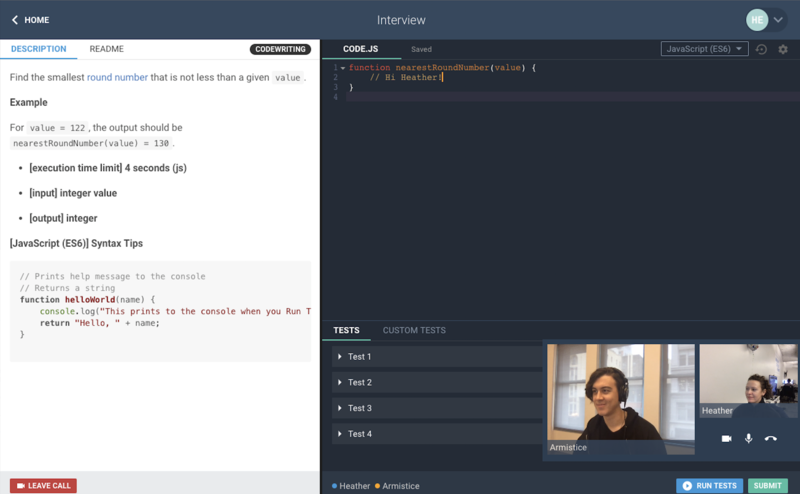 All of the normal CodeSignal Interview features are available while you're using the video chat function, so you can continue the interview session as usual. 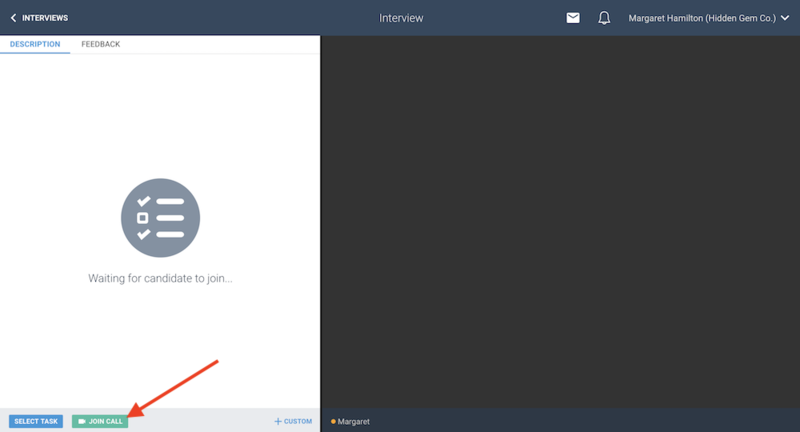 To get started, just click the Join Call button in the bottom left hand of the Interview screen. 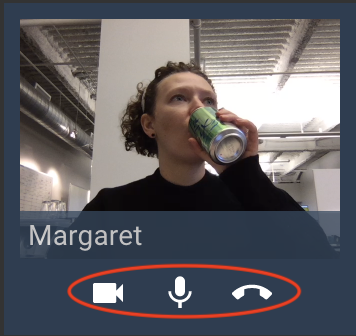 If this is your first time using the video chat function, your browser will ask you to permit CodeSignal Interview to use your computer's microphone and camera. Click Allow. Your video will show up on the bottom right corner of the screen. When the candidate and/or other interviewers join the Interview session, their image will show up next to yours. To switch your video or audio off and on during the session, hover over your video image and choose the Mute your video and/or Mute your microphone options. To leave the video chat altogether, you can select the Hang up option from your video card. Your candidate also has access to all of these options.